This is the third and final part of my “Stroller Running 101 Series”. I wrote these three parts with the intention of sharing some details about how I make stroller running work for me, but also to help provide some tips and information for anyone considering hitting the road with the little one (or ones!). 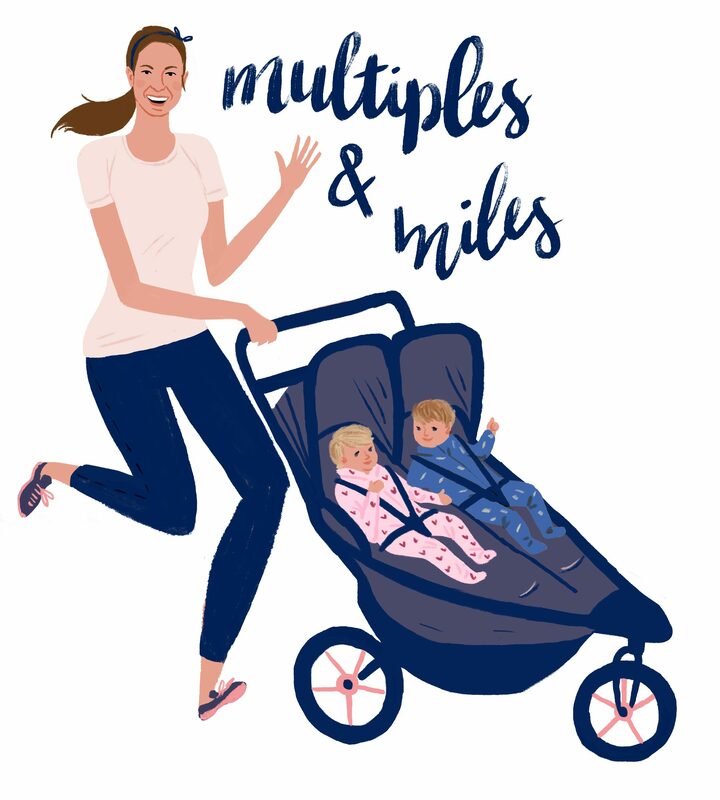 Part 1 included tips for keeping your passenger(s) happy while you’re out on a run, and Part 2 covered details about getting geared up for stroller running – including my thoughts on buying a running stroller and how to use/maintain it. Today in Part 3, I want to share some important tips about preventing injury while stroller running, as well as some tips about getting into “stroller shape”. Also, I’ll share my thoughts on the best places to run because once you start stroller running, I swear you’ll never look at sidewalks the same! As a reminder, same for parts 1 and 2 – this is not a sponsored post, nor am I, in anyway affiliated with any of the mentioned companies or websites. All opinions and insights are my own. I am also not an expert nor a doctor. Please feel free to reach out with questions but if you have any concerns or issues it’s best to consult a medical professional. Go Slow, and Stay Close to Home. Your first few stroller runs will probably be much slower than your regular pace. And that’s okay. You might even consider alternating between walking and running to start. You’re pushing an extra 30+ pounds (or more if you have two kids!) Our Dualie alone weighs 36lbs before I add the twins, so it was no surprise to me that when I first began running with it my paces were 1+ minutes slower! Also, just like with any exercise, don’t overdo and try to push the stroller for 10 miles on your first run out. Start small, try a mile or two at a time, and build slowly by adding a mile at most per week. The good news is – just like running solo, stroller running gets easier! As you get in better “stroller shape” you’ll find yourself running and pushing with more ease and your paces will quicken. Flat Pavement is Your Friend. Try to find the widest, flattest, smoothest sidewalk you can for your stroller runs. In a city like Philadelphia that is often a challenge but not impossible! I get really (weirdly) excited when I find a ‘stroller friendly’ street. If sidewalks aren’t possible your best bet is to find a quiet neighborhood where you can safely run in the street (maybe try it out solo first! ), or head to a bike path. Want to find a great path in your area? Check out out Map My Run or Run Keeper, stop in to your local running store and ask the staff, or ask other runners and/or parents where the best, flat trails or sidewalks are. Focus on Form. I think a lot about my form when I’m running with the stroller. It’s important to be mindful so that you don’t over exert or injure yourself. Anytime you push something, your body naturally tilts forward, so it’s no surprise you’ll probably find yourself doing this when you’re out for a run with the stroller. But really try to keep your feet and hips close to the stroller and stay upright instead. If your hips and feet end up too far behind the handlebars, you’ll end up using a lot more energy. This is especially true when pushing uphill. You’re really going to want to tilt forward, but fight the urge! The taller and more upright you stay, the easier it will be. This may mean you have to run slower, but it will payoff in the long run. Guide, Don’t Push. Once I get going, and especially when I’m on a flat surface like a bike path, I try to let the stroller push itself. That sounds silly I realize, but when you get going you’ll see – once the stroller is moving, it will keep moving. This is because running strollers have air-filled rubber tires and suspension systems so they roll over bumps easier and overall create less resistance. It’s just like that lesson from high school physics: a body in motion will stay in motion unless acted on by a net external force. So take advantage of this, and guide the stroller – don’t always push. When I first started running with the stroller I remember thinking, “I’ll never be able to do this for more than a few miles” because my arms were SO tired after each run. But once I got the hang of guiding vs pushing, it was less of a strain on my upper body – allowing me to really go the distance on some runs! STRETCH! One of the biggest challenges (and benefits!) of stroller running is that it’s both a cardio AND strength training workout rolled into one. It takes your whole body – legs, shoulders, and core – to push the stroller forward. I often find I’m sore in different places after a stroller run vs a solo run. It can differ from runner to runner, but for me I often feel tight in my glutes and hamstrings. Be mindful of your muscles and be sure to stretch and/or foam roll sufficiently before and after each stroller run. Look Ma! TWO Hands. To me, running with both hands on the stroller is not uncomfortable but it is definitely different. I find when I’m on city sidewalks or bumpier paths, it’s necessary to use two hands. Also, I am always sure to keep both hands on the handle bars (and the hand brake!) when I’m on any kind of downhill and/or near any intersections to avoid any chance of a rollaway. But on smooth, flat surfaces where I am doing more guiding than pushing (see above), I am able to run with one hand on the stroller while swinging the other arm. I do try to switch it up from time to time, although I’m much more comfortable running with my dominant hand on the stroller. Ditch the Tunes. It might be tough to cut the (headphone) cord, but when you’re out stroller running – leave the music off. Especially if you’re running anywhere with traffic/intersections. I find my senses are heightened when I’m out pushing the stroller – I want to be able to listen for cars or other runners/pedestrians approaching me. Plus, I like to keep an ear out for any cries or fusses from my passengers. A big payoff though, is when the twins are awake for some of the runs, I get to hear them babbling back and forth. It makes me feel like they’re cheering me on! And I hope someday they will. And that concludes our series! I hope this has been helpful. Please feel free to leave feedback and comments below — has this been useful? Are you inspired or excited to try stroller running now? Or did this totally overwhelm you? For stroller runners out there, what are you ways to help keep your form in check while you’re out rolling with your littles? Previous Broad Street Run – 3 Weeks Out…Time for a Training Plan!